The other day I was hit up by a friend that was looking for a 500 lb capacity heavy duty portable chair that he could take with him to outdoor events as well as be used indoors for social calls. As most of us know, when we visit someone or attend an event, chances of their chairs being suitable for a heavy person is slim to none. This is where such a high weight capacity portable chair is very handy. I couldn’t tell you how many times I have gone to family reunion’s, outdoor lunches and even tailgate parties just to stand for hours on end because of the fear of breaking their chairs. But this doesn’t have to be the way when you have your very own portable chair that can hold us bigger people. Sure its an extra hassle to pack in the car whenever you leave the house, but its one that’s much worth the effort. So after my friend specifically requested a portable chair that can hold 500 pounds, I did the research for him and have listed the results below. Some of these results may not be suitable to you, but be sure that they all have a minimum weight capacity of 500 lbs. One of my all time favorite chairs when it comes to portability is the Mitey-Lite Flex One chair. This beast of a chair can hold 1000 lbs, which is just incredible for a portable chair. Its made in the USA from steel that’s high impact and finished in a plastic mesh made from stain blocking polymers. Because the seat and back rest are made from a durable resin the chair has a certain amount of flex to it. So the chair can conform to your body better than a flat hard plastic. The design of the resin material also allows maximum air flow for those hot and humid days. When it comes to portability, the Flex One or One Series Pro as its also known, its exactly what you need. Lightweight and folds down to a compact and manageable size. Folding down the chair is super simple as the design is comprised of zinc plated steel and rivets which make it simple to slide the chair into folding position. In terms of the seat size, it is extra wide when comparing to a regular folding chair. The extra 1.5inches give the seat a total width of 20 inches. While I wouldn’t normally consider this extra wide, in terms of a compact portable chair its not too bad. The seat also sits 18 inches from floor height, which is ok, but I’d prefer it to be 20 inches. But overall, the Mitey-Lite is a great option for people looking for a 500 lbs portable chair. It’s a great outdoors chair due to the rust resisting components yet the sleek design makes it also quite the nice indoors chair. While the above Mitey-Lite is the best in my opinion, it may not be the portable folding chair you had in mind. With that said, I have previously listed folding chairs suitable for heavy people which you can find below. Click on the relevant link to take you to the lists of chairs. When most people think portable chairs they think camping chairs, and right they are. Camping chairs are super portable, often lightweight and suitable for many types of events. Not just camping. When it comes to a reliable, wide and high weight capacity camp chair, the Alps Mountaineering King Kong chair has been my go to choice. What Makes The King Kong So Good? To start with it has a high weight capacity greater than 500 pounds. In fact it is rated to hold up to 800 pounds which again is quite impressive for such a portable chair. What gives the King Kong its enormous strength is the quality and design of the frame. It utilizes a ‘X’ design frame on all 4 sides of the chair, where most are just ‘X’ designs on 2 sides. So already you get a greater supportive chair. The extra strong 600D polyester (Higher the number the stronger the material) fabric is very durable and feels super comfortable to sit in. While its super strong, its also quite a wide chair, but not so wide that when folded down its not an issue to carry. Slightly heavier than your standard camp chair, but you get that with a heavy duty frame like the King Kong has. The total width of this chair is 38 inches, so plenty of backside space. Lastly, the amount of storage pockets on this chair is incredible. Along the back of the head rest is a huge mesh pocket for keeping things safer higher from ground level. Along both of the arm rests, which are adjustable by the way, are another 2 big pockets for storing things you need at arms reach like mosquito repellent, sunscreen, smart phone, keys etc. Overall I find it very hard to fault the King Kong chair. For a camping chair its certainly takes it to the next level. 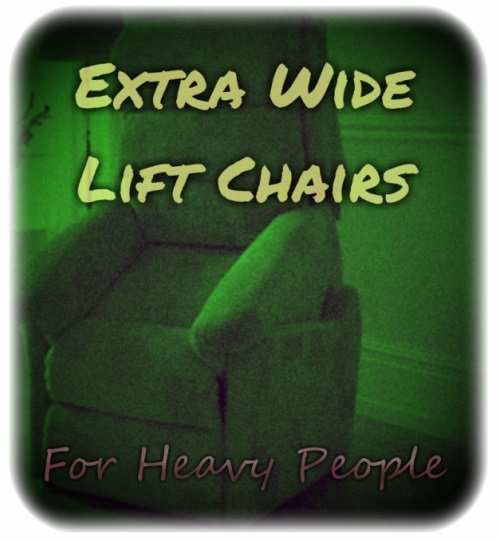 The high weight capacity with the extra width make it perfect for heavy people wanting an outdoors portable chair. The King Kong reigns supreme, but perhaps its not to your liking. Which is completely fine, I wont be offended. 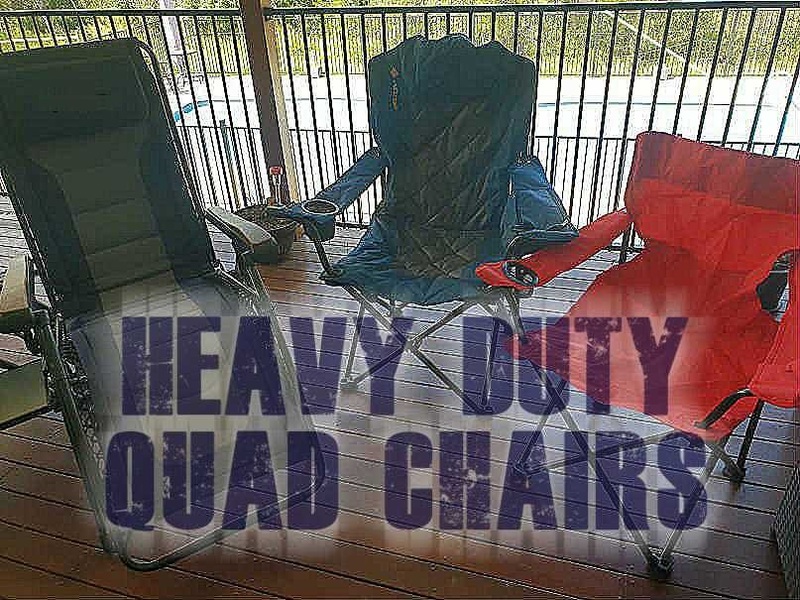 So here are some more portable chairs with a heavy duty rating of 500 pounds or more. Directors chairs also make for a great portable option for the big person. 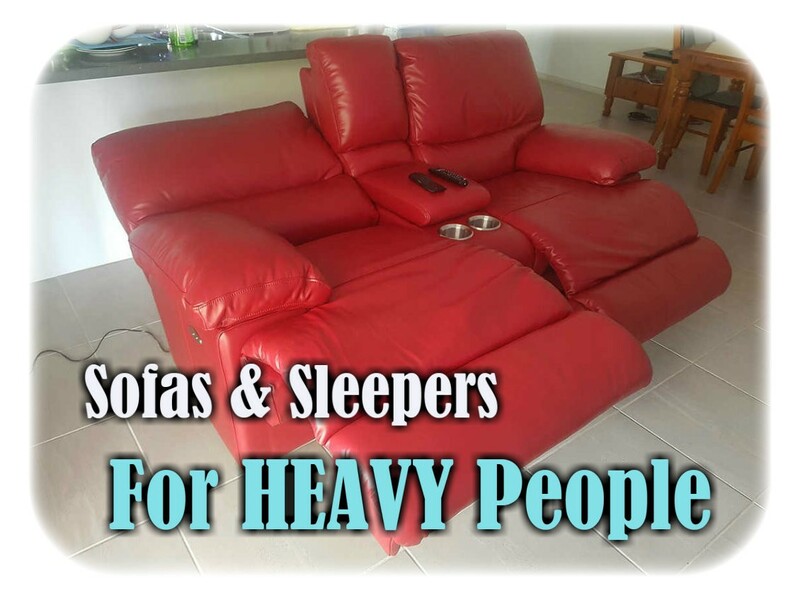 They are built strong and oversized to cater to people 500 pounds or more. Plus you get the benefit of having a side table for events where you may be eating. While heavy duty often means heavier due to steel reinforcements and bulkier in size, these options above show you that you can get portable yet heavy duty chairs with 500 lbs capacity. 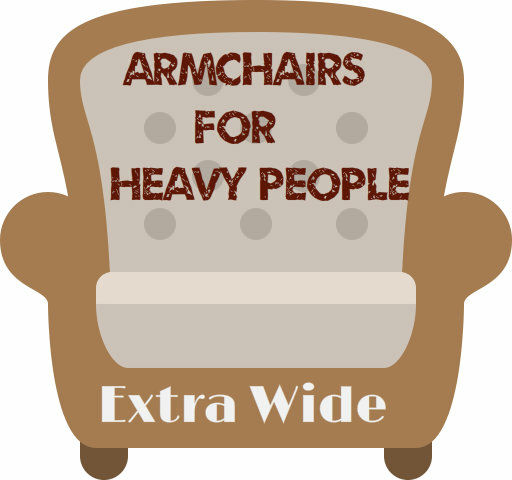 Be sure to follow the provided links to further chairs within each category to see all the options available for the heavy people.